The Saeco Phedra is a semi-automatic table-top drink vending machine with cappuccinatore. This vending machine uses fresh milk. 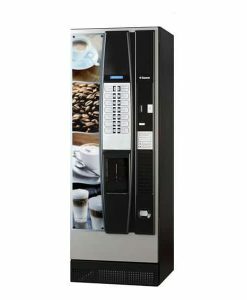 The Saeco Phedra coffee vending machine can dispenses up to 8 different hot beverages. 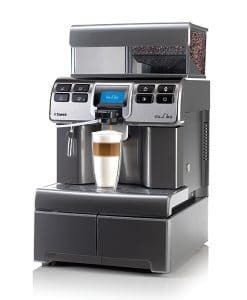 The Saeco Phedra is a semi-automatic table-top drink vending machine with cappuccinatore. This office vending machine uses fresh milk. 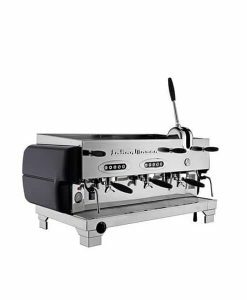 Ideal for medium to large locations and offices, the Phedra is available in three iterations: Espresso, Instant, and T.T.T (TwinTasteTech). 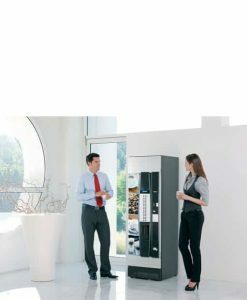 Perfect for both fresh brew paperless coffee and espresso coffee, this vending machine dispenses up to 8 different hot beverage products. 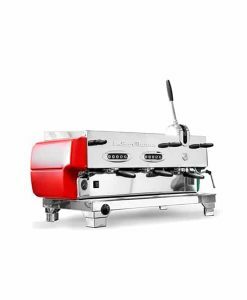 Saeco brewing unit for top-quality expresso. 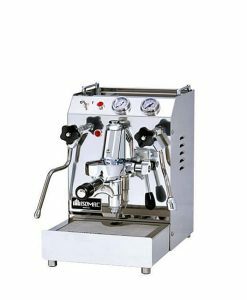 Saeco pre-heating system for brewing unit. Includes TwinTasteTech (T.T.T.) 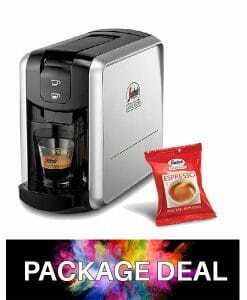 version, which enables paperless fresh brew and/or espresso coffee dispensed from ground coffee or coffee beans. “Seagull wings” door opening for easy cleaning and maintenance. Energy saving mode; classified in energy class A (EVA – EMP 3.0). 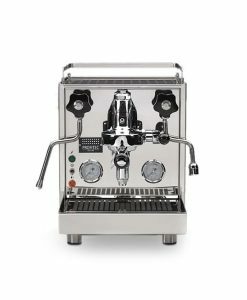 Exceptional stainless steel dispensing area. Aesthetically pleasing and customizable “U profile” form factor that features stickers on the front door and silkscreens on the side. 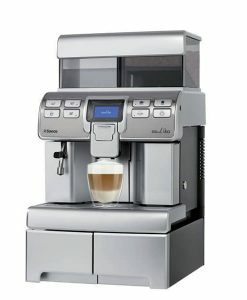 User-friendly interface with LCD graphic display and mechanical buttons that are easy to read. New Saeco Easy Dry powder dispensing system. Dimensions (W x H x D): 395 mm x 595 mm x 430 mm. Water supply: Independent water tank or water supply. Brewing unit: 7gr or 9gr. Coffee beans container capacity: 1 kg. 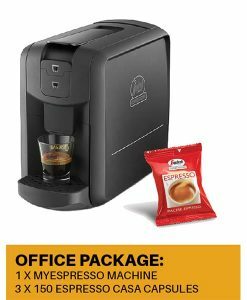 Instant coffee container capacity: 0.33 kg. Chocolate container capacity: 1.75 kg. Tea container capacity: 1.5 kg. Cabinet with cups (70 mm), stirrers and sugar containers and height-adjustable feet (395 mm in width / 910 mm in height / 460 mm in depth / 18 kg), with dump box. Mixer kit for tea replacement with soluble mixer. Hot water solenoid valve kit. Memory key to copy and quickly transfer machine settings. 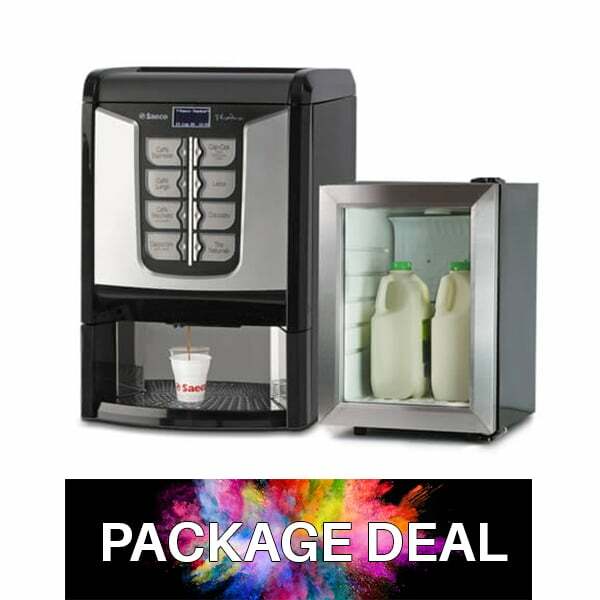 This milk fridge is specifically designed for coffee machine use to keep your fresh milk cold. 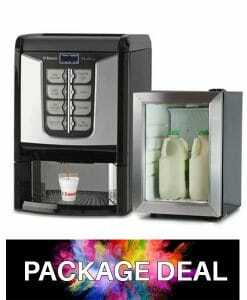 Pre Drilled holes for milk line, magnetic seal on the fridge door and the inner light make this fridge a perfect choice for commercial or office use.